Next month, LVM will be attending the 2014 Hispanicize ‘Unconference’ in Miami Florida. Last year, we had a great time at the event, immersing ourselves in education, entertainment, rekindling with colleagues, clients, bloggers and journalists. With excitement and enthusiasm we anticipate what we will learn and experience at this years iconic 4-day event. Hispanicize (#Hispz14) is recognized as the, largest annual event for Latino trendsetters and news-makers in social media, journalism, advertising, PR, film, music and innovation. This year’s event will host over 1,235 attendees which will include leading influencers from the fields of social media, blogging, journalism, PR, advertising, media and more. Many of the most influential Latino and African-American writers will be in attendance as well as journalist from 35 top media outlets including the associated press, Univision Network, Fox News Latino, and HuffPost Latino among others. We look forward to hearing from thought leaders of a wide range of sectors including brand marketers, multicultural bloggers, Hispanic media, Latino celebrities, artists, entrepreneurs, advertising agencies and non-profit organizations. 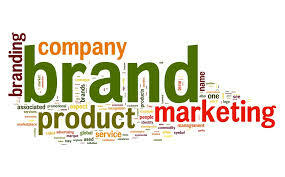 Last year we came back inspired on the top cultural trends Hispanic marketers are targeting, social media strategies and tactics that show the most potential with brands and so much more. To learn more about Hispanicize 2014, visit their homepage at www.hispanicizeevent.com. 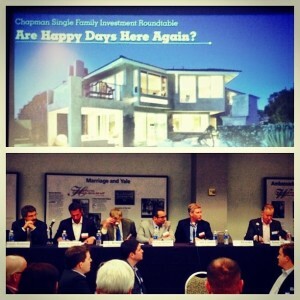 Last month, LVM atten ded Chapman University‘s Single Family Investment Roundtable, hosted by The C. Larry Hoag Center for Real Estate and Finance, The George L. Argyros School of Business and Economics and Chapman University. It was an educational evening of networking and stimulating discussion, which include a presentation panelist of five established real estate experts in Orange County. The panelists included; Emile Haddad, President & CEO at FivePoint Communities, Greg Hebner, Managing Director at Community Rebuild, Gerd-Ulf Krueger, Principal Economist at Krueger Economics, John McMonigle, Principal & Founder at The McMonigle Group and Jan Brzeski, Managing Director & CIO at Arixa Capital Advisors, LLC. The group discussed the current state of the real estate market in Orange County, and what to expect in the coming days. The economist on the panel, G.U. Krueger, said that there is “a lot of room for individual investors at the $500-$800,000 level and more in coastal communities like Venice and Newport Beach.” This was enlightening to many individuals and small business owners envisioning a move to the up-scale beach cities. The panelists stressed attention to the fact that those lending money have “long memories,” meaning they are only continuing to lend capital to those who have paid back previous debts. Therefore making it more difficult for first-time buyers in the market. Eager home-builders and corporations should be patient and carefully stick with the age-old rule of supply and demand, keeping in mind that “if you build, they don’t necessarily come,” according to Hadaad. Overall the panelists discussion led to an informative and eye-opening view of what is going on in the real estate world of Orange County. Here at LVM we appreciate the opportunity to remain actively involved and informed both locally and state-wide of our current culture and financial state. We extend a heartfelt thanks to Chapman University Argyros School of Business and Economics and C. Larry Hoag Center for Real Estate and Finance for putting on a fantastic community event. 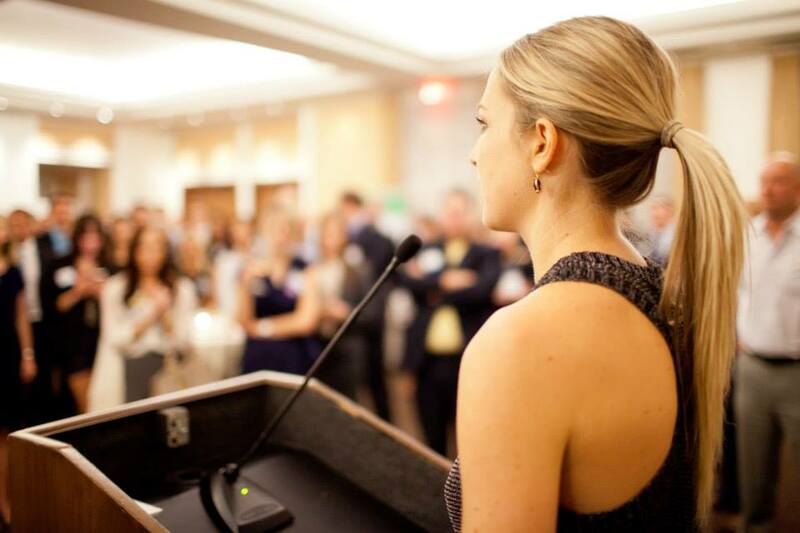 Last w eek we attended The Elite OC’s January schmoozer at the Pacific Club in Newport Beach. It was a fun-filled evening attended by approximately 380 individuals who gathered together for to network and giving back. 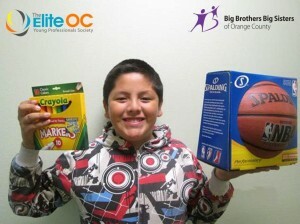 The event raised 644 donation items to benefit the Big Brothers Big Sisters of Orange County, and brought 43 new volunteers for potential “Bigs,” as well as $262 in cash donations. Several new faces were among the group, bringing many first-timers who had never attended an event before, or been involved with BBBS. The night was a huge success for all, filled with great conversations and making new connections. The Elite OC is a non-profit organization that brings young professionals together to network and give back to the local community. 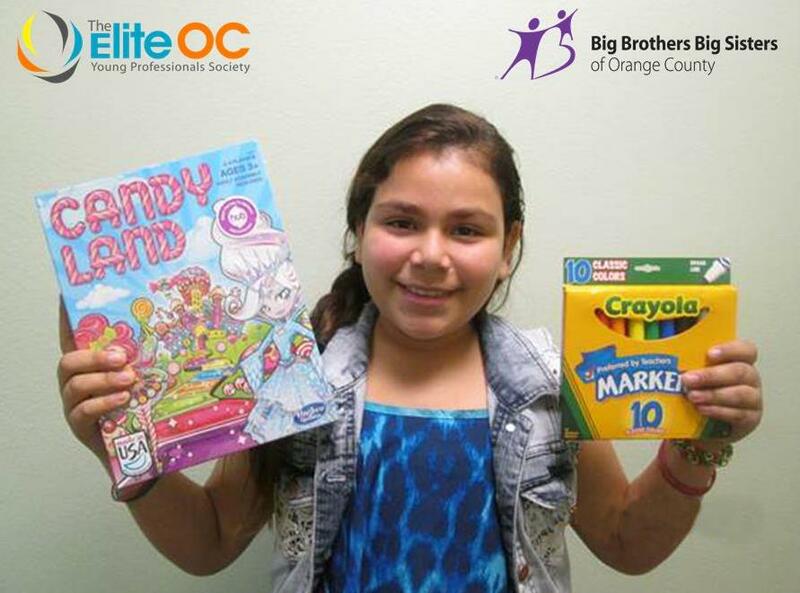 Since it’s conception in 2010 The Elite OC has benefited 30 local charities, found new ways to give back to the community and created a society for entrep reneurs and professionals to come together and share ideas while building business relationships. Our founder Stacey Kaszton continues to serve on the board of Elite OC for her third year in a row, dedicating her time to a group who’s mission and purpose she is passionate about.